When and how to use "etc." and "et al." "etc." and "et al." are well known abbreviations in English language, even among English learners, but English users still misuse them because of their semantic relationship. Although these abbreviations carry the same meaning, they are used in different contexts. "etc." 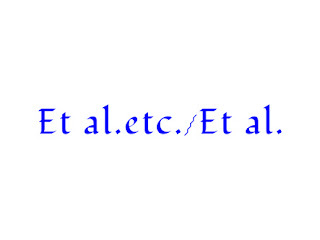 is an abbreviation of the word, "et cetera", which means "and others" or "and so forth". It is used after a list of things to show that there are other things that you could have mentioned. Please, take note of the phrase, "a list of things". The phrase emphasizes that you don't use "et cetera" when listing people, but when listing things or items. For example, you don't say, "Tammy shared his food with Dennis, Emma, Moses, Peters, etc." In the above example, "et al." should be used instead of "etc." since you are listing people. On the other hand, "et al." 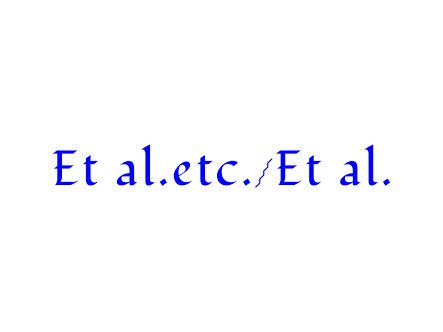 is derived from the Latin expression "et alii" (for masculine) or "et aliae" (for feminine) or "et alia" (for neuter) which means "and so on" or "and others". Unlike "etc. ", "et al." is used after a list of persons to show that there are other persons that you could have mentioned. For example, "Tammy shared his food with Sammy, Ezekiel, Dennis, Peters, Chidi, et al.". The literature texts for this year's WAEC examination are Othello, Native Son, A Raising in the Sun, etc. Chinua Achebe, Wole Soyinka, Kofi Awoonor, Chimamanda Adichie, Gabriel Okara, et al. are literary icons. From the examples above, you don't need a soothsayer to tell you that you are expected to use "etc." when listing items or things and "et al." when listing people. It is also important to state that both "etc." and "et al." must always be followed by a full stop regardless of where they appear in a sentence.